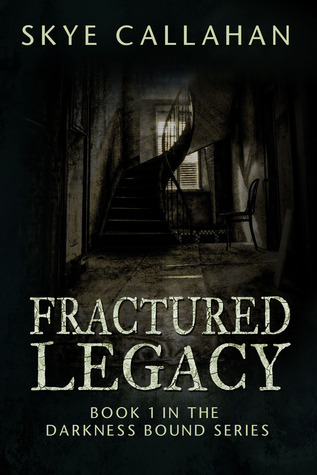 Today I am part of the blitz for the Fractured Legacy book blitz! I signed up for this because the synopsis was so interesting that I got curious, so I will probably be reading this!!! Hope I got you curious too!!! 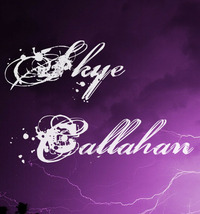 Skye Callahan was born and raised in Ohio and has seen enough unbelievable stuff to feed a lifetime of paranormal stories. When not writing or working at the dayjob she hangs out with her ethnomusicologist husband and pet ferrets, reads, and takes long walks through the cemetery. Right after I learned to write my name. I've always loved creating stories and fantasy lands—they were usually complete with ghosts and vampires and heroes on motorcycles. My family was lucky to drag me out of the library most of the time, and I always had a pile of paranormal stories waiting to be read--I remember R.L. Stine, Christopher Pike, and Bruce Coville the most. It wasn't long before I started writing similar stories. Outside of my family, the biggest support has come from my beta readers. I never imagined meeting such wonderful (and often crazy) people. They've all been helpful in getting the finished product together and motivating me to write and edit when I need to. I just write. I've never done a lot of planning or outlining in the technical sense, I leave it up to the characters to lay out the details. First drafts are normally handwritten with a fountain pen in my journal, then, I begin typing it up, putting things in the right order, adding details, etc. Description. I nearly fall out of my chair every time someone compliments my "knack for description." If asked, I can layout every detail of the locations, characters, etc, down to the color of the carpet in the trunk of Kaylyn's car. But when I'm writing (and reading) those details never seem as important as what the characters are saying and doing. I work in a non-profit business consulting office doing everything from research and writing, to marketing and event coordination. The next book in the Darkness Bound Series. Kaylyn's sister, Cole, finally gets to take center stage for a while in this one, so we'll get to see more into the relationship between the sisters. And Jonah... well, he's not doing so well. You can either write or aspire to write. If you want to be a writer sit down, get rid of unnecessary distractions (like the word aspiring), and write. My next bit of advice would be to find a good support group--online or in person--having other writers around to critique, offer suggestions, and sometimes just chat about life in general is the most valuable resource you can find. Thank you so much for the nomination!!!!!! I will put up my post soonish!! !